Denver, Colo. – The fourth edition of the Denver Rare Beer Tasting benefiting the Pints for Prostates campaign will feature 34 rare, exotic and vintage beers from of 32 of America’s leading craft breweries. • Wynkoop Brewjolais Nouveau from Wynkoop Brewing, Denver, Colo.
• New Albion Ale, a special guest beer at the event being brewed by Boston Beer, Boston, Mass., to honor craft brewing pioneer Jack McAuliffe using original New Albion yeast that has been preserved at the University of California since 1977. All of the tickets for the Denver Rare Beer Tasting IV have been sold. The event takes place at Wynkoop Brewing on 18th Street in Denver on Oct. 12 from 1-4 p.m., during a relatively quiet period while the Brewers Association Great American Beer Festival is taking place in the city. Only 500 tickets were sold for the event. Now in its 33rd year, All About Beer Magazine has been the essential source for the evolving beer culture. Winner of numerous awards and recognitions, All About Beer Magazine publishes the best on beer — its history and culture, beer travel, entertaining, brewing and collecting — six times a year with one additional bonus issue annually. The magazine promotes the positive attributes of the growing beer culture by hosting the World Beer Festivals where guests have the opportunity to taste samples from a wide range of beers and to discuss the beer with brewers and knowledgeable servers. For more information, please visit http://www.allaboutbeer.com, follow @allboutbeer on Twitter and like the magazine on Facebook at http://facebook.com/allaboutbeermag. Tuesday Tasting is a regular feature of Lyke2Drink that explores some of the best beers, wines and spirits on the market. This week we sample a wheated Bourbon that is part of the Old Fitzgerald franchise. Larceny Kentucky Straight Bourbon Whiskey is a 92 proof that pays homage to a U.S. Treasury agent who had the taste for the good stuff. An early bit of lore said that John E. Fitzgerald had founded a distillery in Frankfort , Kentucky. shortly after the Civil War. But in her 1999 book "But Always Fine Bourbon -- Pappy Van Winkle and the Story of Old Fitzgerald," Sally Van Winkle Campbell revealed John E. Campbell was not a distiller at all. He was actually a U.S. Treasury agent who had keys to distillery warehouses. He would pilfer whiskey from the best barrels and those soon became known as "the Fitzgerald barrels" around the distillery. Heaven Hill Distilleries released the whiskey to mark "a taste made famous by an infamous act." Larceny has a tarnished copper color and a mellow nose. It is made from barrels that have aged between 6 and 12 years. The wheat is clear in this one, giving soft edges to the Bourbon. There is a good amount of hearty grain that has bits of oak, that lead nicely to a long finish. BeerTrips.com and Pints for Prostates are teaming up for a special ABCDs of beer adventure in Europe from Sept. 12-22, 2013, that will benefit the fight against prostate cancer. The nine night dream trip to Amsterdam, Brussels, Cologne and Dusseldorf covers parts of three countries and visits four of Europe’s classic beer destinations. The trip includes beer tastings, escorted pub crawls, guided city tours, brewery visits, special meals and more in Holland, Belgium and Germany. The trip will include visits to famous breweries such as La Trappe, Cantillon, Uerige and Fruh. BeerTrips.com has been providing unique beer travel experiences to destinations around the world since 1998. BeerTrips.com is offering this special Pints for Prostates group tour to Belgium on a limited basis. A total of 14 slots will be sold for this tour at $2,995 double occupancy ($635 single supplement), plus air. The trip includes nine nights lodging in centrally located hotels; breakfast daily, 4 beer dinners and 3 beer lunches; and train and coach transportation. Details on this trip can be found at www.BeerTrips.com. The tour will be hosted by Pints for Prostates founder and beer journalist Rick Lyke. Lyke has been writing about beer, wine and spirits for more than 30 years and has traveled extensively in Europe. 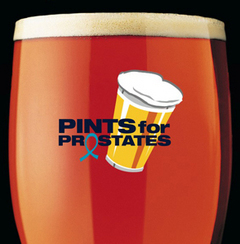 Pints for Prostates is a 501(c)3 charity that reaches men through the universal language of beer with an important health message. The total value of the trip for two is estimated at $8,500. The drawing will be held on July 28, 2013. The prize is non-transferable. No cash substitute will be offered. The winner and their guest are responsible for obtaining passports and all trip related costs not outlined above. You must be 21 years old to enter. Tuesday Tasting is a regular feature of Lyke2Drink that explores some of the best beers, wines and spirits on the market. This week we sample an English gin. In the 11th Century Italian monks are said to have been the first to distill spirits using juniper berries, gin’s base flavoring agent. A German-born physician and scientist who spent most of his life in the Netherlands, Franciscus Sylvius, is given credit for developing the first modern day gin during the 1600s. During the Eighty Years War (1568-1648) British troops fighting in Holland against the Spanish nicknamed gin “Dutch Courage” because it could calm the nerves before battle. William of Orange helped make gin popular in England, but it was heavy taxes imposed on imported spirits and the permitting of unregulated distilling – much of it taking place in private homes -- in the U.K. that caused an explosion in gin production. Thousands of “Gin Mills” popped up. When Parliament tried to get things under control in 1736 by passing the Gin Act there were riots in the streets. But gin also has a classy side best articulated by James Bond, the British 007 secret agent created by novelist Ian Fleming. In “Casino Royale,” Bond orders a Vesper Martini and is quite specific in the recipes, telling a barkeeper: “Three measures of Gordon’s (gin), one of vodka, half a measure of Kina Lillet. Shake it very well until it’s ice-cold, then add a large slice of lemon-peel.” When it comes to gin, most of us don't think of Italy or Holland. We think of England. Martin Miller, a publisher, concert promoter and hotelier, got in the gin business in 1999 with two friends after being served a lackluster gin and tonic in a pint beer glass at a London pub. The distillate for Martin Miller’s Gin is made in England and then shipped to Iceland where pure water is used to finish the product. 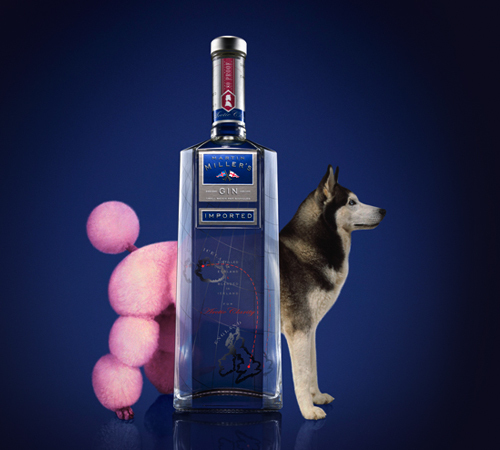 There is a nice lively nose to the gin and the orange zest peaks through in a balanced flavor profile. This is a nice cocktail gin with plenty of body.